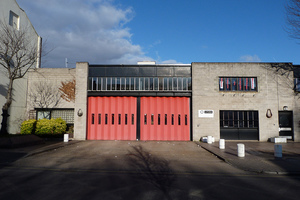 Revised changes to London's fire service have been released following the public consultation. The headline is that Clapham and New Cross fire stations are no longer under threat of closure, Chelsea keeps its second engine and East Greenwich gets an extra one, but there's more resource shuffling in the detail. The big news is perhaps that we'll lose even more firefighters than originally proposed: 552 fewer in post rather than 520. Most of this is because the number of Fire Rescue Units (FRUs) is being reduced from 16 to 14 – Hornchurch and Millwall are the ones earmarked to go – and the minimum crewing levels brought down from five to four. FRUs are specialist heavy-rescue units and tend to be called in for complicated rescues e.g., tunnels, chemical spills and underwater. Four FRUs went to the helicopter crash in Vauxhall, but the Fire Brigade says that their use is decreasing and the £6m saved helps keep more fire stations and appliances working. The Mayor should be listening to the 94% of residents who responded to his consultation by opposing any station closures. We all know that savings have to be made, but the London Fire Brigade has already saved £66million from the back office. Boris is cutting too far and all to fund his penny a day council tax cut. Stations due to close are: Belsize, Bow, Clerkenwell, Downham, Kingsland, Knightsbridge, Silvertown, Southwark, Westminster and Woolwich. Stations which will lose an engine are: Chingford, Hayes, Leyton, Leytonstone, Peckham and Whitechapel. Stations which will gain an engine are: East Greenwich, Hendon, Orpington, Stanmore and Twickenham. The London Fire and Emergency Planning Authority will debate the new proposals on 18 July.